AMC Glass Company, Inc. specializes in quality Residential, Commercial and Industrial glazing services to the Silicon Valley and throughout Northern California area for over 24 years. We are one of the largest Glass dealerships in Northern California. AMC Glass Company, Inc. strives to offer the best customer service. We believe that "Our Customers Are Our Business", that's why all of our experienced employees are dedicated to prompt and courteous customer service. You can rest assured that you're getting the highest quality service at the best prices in town. AMC Glass is rated 5.0 out of 5 by 6. Rated 5 out of 5 by jangster from This dealer did an A++ job replacing all the windows in my home This dealer did a great job replacing all of the windows in my home. A lot of care was taken during the removal of the old window and the installation of the new windows to ensure every step of the job was done professionally and properly. The crew spent nearly 3 weeks working on the job and at the end of each day, they alway left my house as well as my yard clean and tidy. I would absolutely recommend AMC Glass to my friends and family. Rated 5 out of 5 by Ruben from THE BEST MILGARD WINDOW DEALER IN THE SOUTH BAY AREA The showroom at AMC GLASS it’s amazing and complete. Erlin, Patric, Natan, and Ann have been the best window dealer team I have ever worked with. 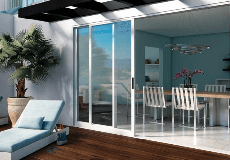 The best prices, efficiency and customer service, when it comes to “MIlgard windows and doors”. The attention they dedicate to each client is professional and friendly to contractors and home owners alike. As a Contractor I have ordered my Milgard Windows at AMC GLASS and I recommended this window dealer to everyone. Rated 5 out of 5 by SJ408 from Great customer service and excellent knowledge of different product line-ups We were purchasing 7 windows and 2 patio doors for our first home and Erlin at AMC Glass took her time to explain and answer all our questions. The products were delivered on time as promised and we couldn't be happier with Milgard and AMC Glass. Rated 5 out of 5 by Amanda from This dealer offer good price, great knowledge about window~ and great service~ AMC is a great place to get the windows product, not only their great service but also their professional for the knowledge. They try to answer all your question and try to solve customer's window problems. It's always pleasant to talk to them even a small question, they will patiently explain to you. So for us, AMC is number one choice to get the window product and service. With their great support, we are very confidence to keep doing business with them.